Re: Drawing every single race! Hmm. Try your hand at the final defense of Raynet? You know, the place where the Syreen war-fleet was finally defeated during the end of the Great War? I'll give it A go! I'll try to draw a Syreen colony ship in there! 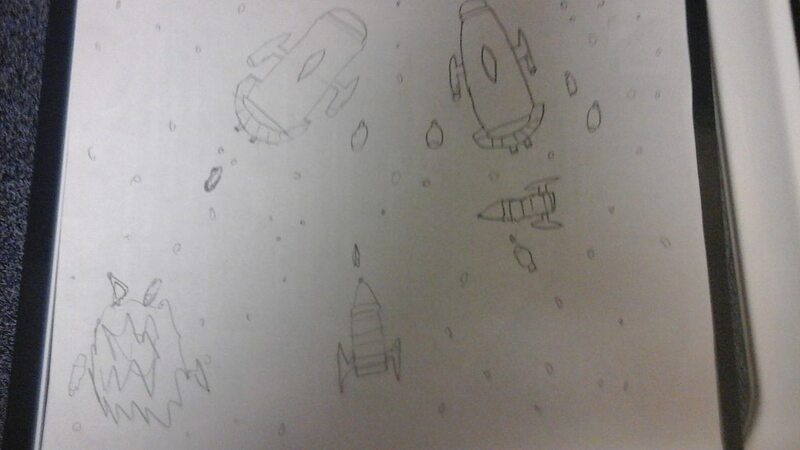 palmpet wrote: I'll try to draw a Syreen colony ship in there! Quick note... their habitation ships weren't actually involved in the battle of Raynet. It was just the space patrol, far's I'm aware. Still, I'll look to see what you'll produce. Oh yeah! 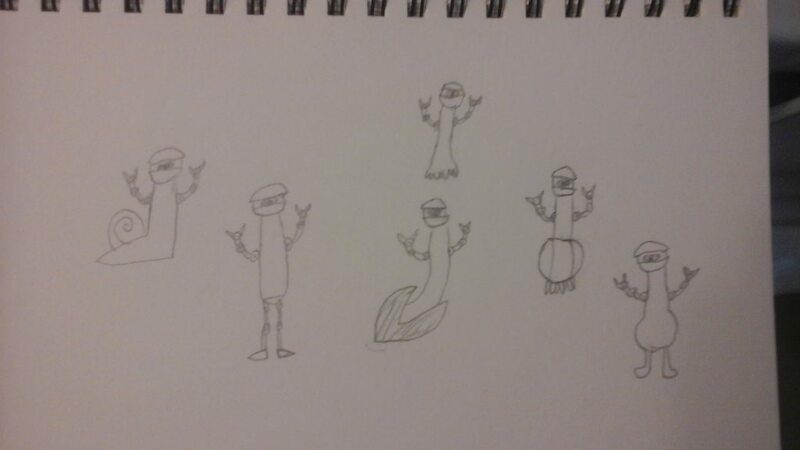 I also made this rough sketch of exploring what the bottum half of a Spathi looks like. For your skill level, that's... actually pretty nice. Good work! Quasispatial wrote: For your skill level, that's... actually pretty nice. Good work! I'm still waiting on the completed colored pictures palmpet! I like your Spathi pictures, and I like how you incorporated some shells on a few of them, but I prefer the multi-legged versions of your Spathi as opposed to the two-legged ones. I personally envision the Spathi of having multiple squiggly legs underneath one, large mollusk foot. If only we had a picture of what an actual dravatz looks like (since Fwiffo claims the Spathi look like a cross between a clam and a dravatz). Perhaps if somebody felt so inclined to draw their interpretation of one, then perhaps it would better explain the possibility of Spathi being bi-pedal. Hint. Hint.